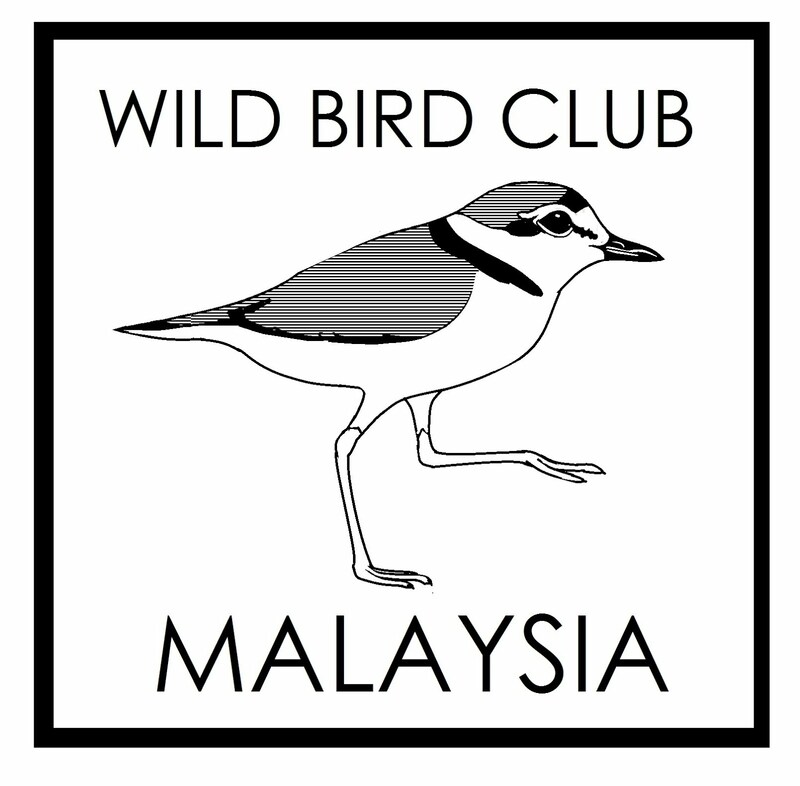 I have been missing out on the above International Bird Race in Fraser Hill. 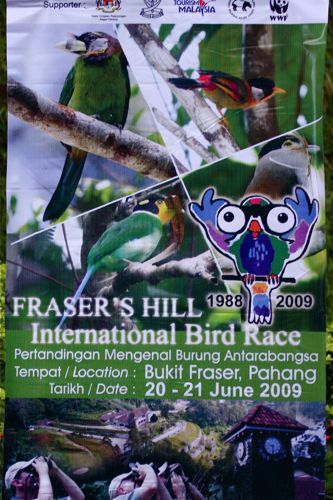 This poster was sourced from http://www.pahang-delights.com/frasers-hill-international-bird-race.html. Joined in the early 2000s with my friends Wong Ee Lynn and Chin Haw Yiing. 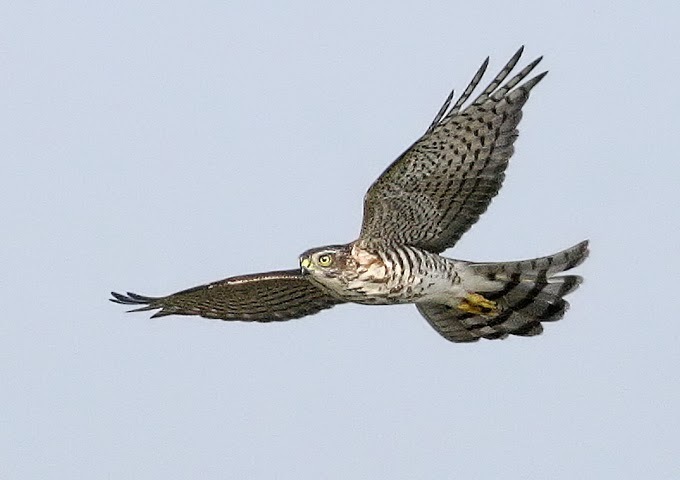 Our team was called Triple Trogon. Last race we participated in was in 2004. 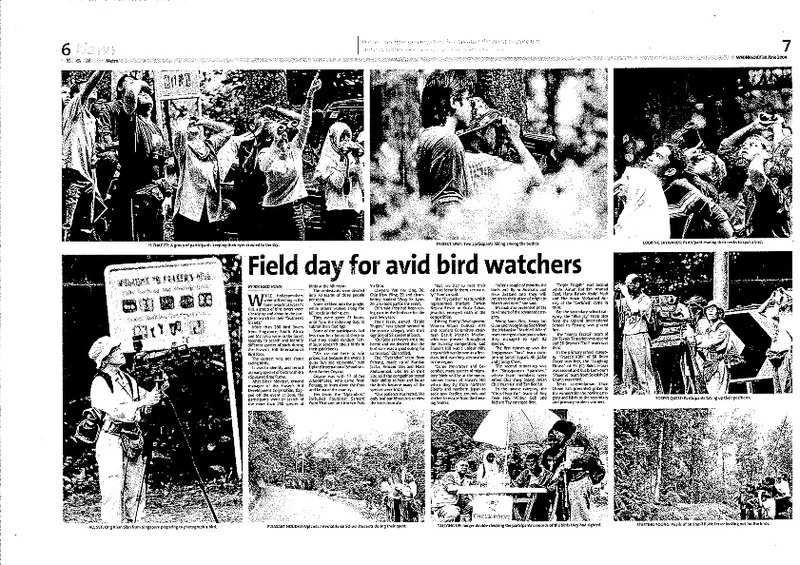 The 2004 International Bird Race was reported in the NST article above and it was really great to see NST covering this unique Race. 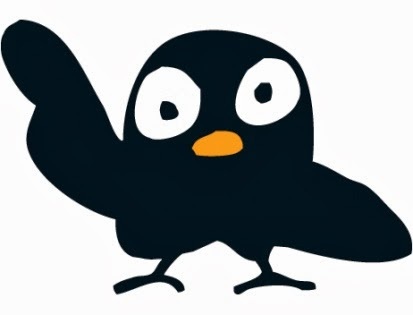 To blow the trumpet a bit, NST reporter Nik Naizi Husin wrote Lawyers Yeo Yee Ling, Chin Haw Yiing and Chambering student Wong Ee Lynn, also took part in the event. 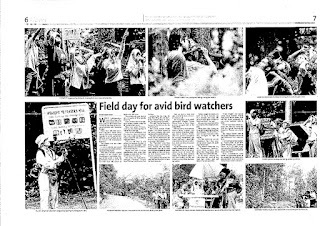 My friend Haw Yiing was quoted as saying "Our jobs as lawyers are quite hectic and we decided that the bird race was a good outing for us to relax."